Though many popular and emotional testimonies would beg to differ, Christian YouTuber Joseph Solomon posted an edifying video explaining why he believes God doesn't directly "tell" people who they will marry. Now, if we believe in a sovereign, omniscient God, we must believe that he has ordered our steps, including our marriages and relationships. The Holy Spirit leads us through life and its many ups, downs, and decisions. However, this does not mean that God—audibly or otherwise—tells someone the exact person they will marry in a prophetic manner. “I know I’m going to get so much pushback,” Solomon said from the start, and he's probably right. Still, he continued to offer balanced commentary on a controversial issue that fuels the subject: prophetic and revelatory dreams. Sure, it’s common to dream about someone you may have romantic feelings for, but this is more likely due to the fact that you spent all of your waking hours thinking about them, not necessarily a message from God. Chances are, Solomon states, you're not the only one who believes God is betrothing you to a certain man or woman. 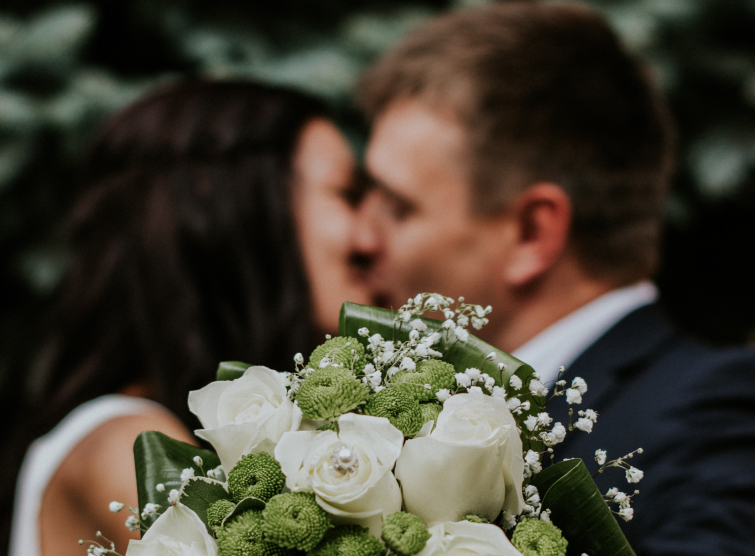 “Have you ever thought that if someone is a generally desirable person, that you’re not the only one who feels the same way about God telling them to marry them?” he asked. Things can get awkward fast. Pouncing on someone with the declaration that marrying them is God's will for you not only can be pretty awkward if they don't share your conviction—or, truly, your attraction—but Solomon says "you are placing some sort of a yoke of conviction on them that they don’t need to have." This treads into spiritual abuse territory when the person, whether intentionally or not, is made to feel bad or even guilted into marriage out of a lack of discernment and the desire to do what God commands. So, whether you mean to or not, Solomon says "you’re telling them that they are disobeying God for not feeling the same way." Let's face it: you could be wrong at best or lying at worst. Oddly enough, Solomon pointed out that he has never heard someone say that God called them to marry someone that they weren’t already extremely attracted to. It could be a case of poor discernment and confusing your will for God's (an incredibly common mistake in today's churches, sadly), or it could be the worst case: declaring God's will to get your way. The same God who says, "vengeance is mine, I will repay," is the God whose name many are slandering when they falsely declare his will in circumstances like marriage. “It always comes with serious ramifications,” Solomon warns. You're setting yourself up for unnecessary pain. “You can get upset with the person for not following God’s plan, or find yourself upset with God for him not following through with something He never told you." Ultimately, Solomon declares, God's goal for our lives isn't our happiness, satisfaction, and fulfillment in things that moth and rust can corrupt. Instead, we are to run the race set before us and follow our lifelong pilgrimage of sanctification and being conformed to Jesus.